This is the tenth rock ‘n’ roll pantomime title from the New Wolsey and the format is as fresh as ever. 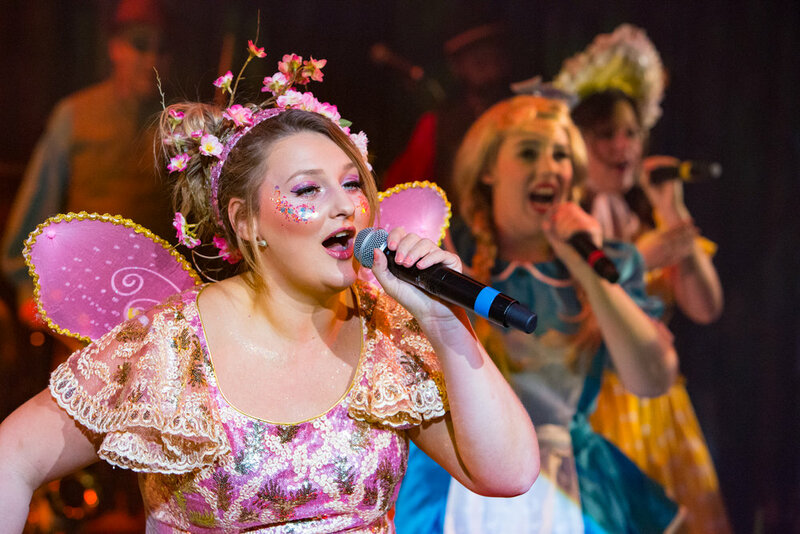 Packed with fun, frolics and more hilarious innuendo than even the most avid of panto fans can imagine, we’re whisked away to the fairy tale surroundings of Soggy-Bottom-In-The-Marsh for a slapstick evening of festive entertainment. I never fail to be impressed by every aspect of these ambitious productions; music, cast, script, costumes, set, effects… the entire performance is just a joy. So let’s start with the music. Loud and proud we were treated to hits from Pharrell Williams, Lady GaGa, Adele, Bruce Springsteen, Neil Diamond and Michael Buble to name but a few and all performed live – music and vocals – by the incredibly talented cast. And it’s when you see these versatile individuals crafting a crazy scene then exit and re-enter to play their instruments, quick change – make another entrance, pick up another instrument, slickly pass microphones around the stage - and all without dropping a line, a note or an entry that you really start to marvel at the hard work that goes in to wowing an audience. There’s usually a stand our performer but believe me in this cast there are 10! We loved them all, their epic voices, stage craft and musicality are second to none. Pushed to pick out winning moments though I’d have to go for James Haggie as ‘Ruffles’ singing his heart felt and hilarious rendition of Sweet Caroline to ‘Little Miss Muffet’ (Lana Walker) along with Simon Nock as the larger than life Dame ‘Millicent Merry’ and his witty interactions with an unsuspecting audience member who became a star of the show! Of course the framework for all of this is the cleverly crafted script by Peter Rowe who is also the director. 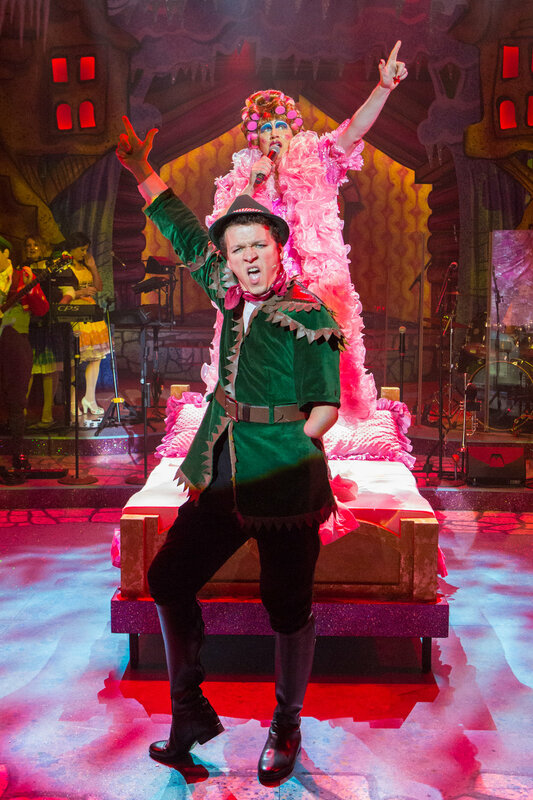 He manages to combine just the perfect mix of glitter, booing, romance and comedy to keep children and adults of all ages thoroughly entertained. He’s even managed to throw in puppets and fire (yes real flames!) for good measure. 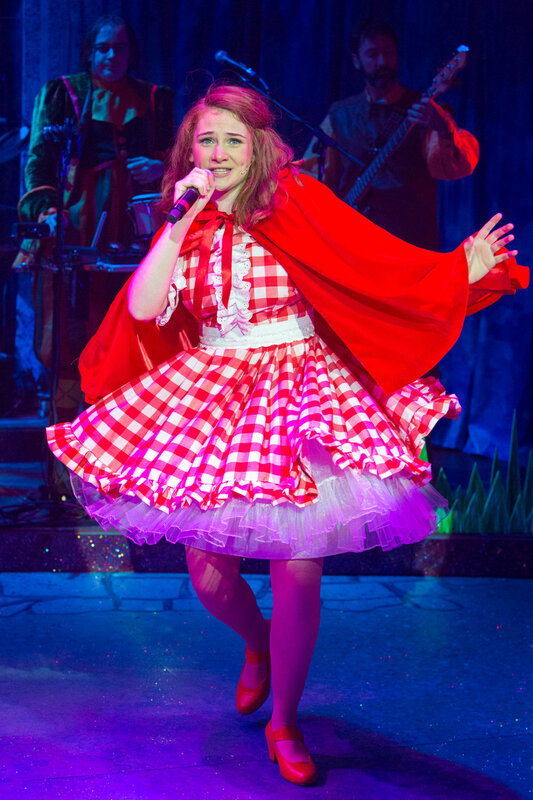 The Rock ‘n’ Roll Panto is on at the New Wolsey throughout December and January and I’m hard pushed to think of many theatre productions that will have such a completely cross-family appeal as this one. Miss it and miss out!